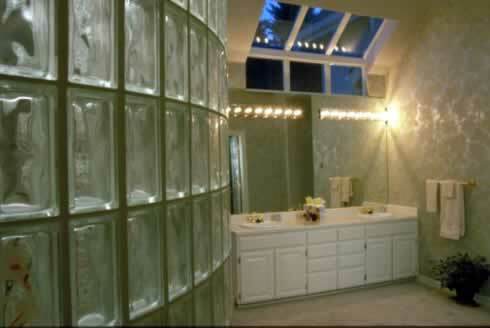 There are many advantages to glass block in the bathroom. Glass block can impart a cool, contemporary look to your private space that is pleasing to the eye and to the touch. Glass block is very easy to clean, and using glass blocks around your shower can mean there is no need for a door, which can make cleaning even easier. Glass is very durable, and of course it is environmentally-friendly, which is great for world-conscious homeowners. Since glass blocks can come in all shapes and sizes, the designs you can make with them are virtually endless. Contractors can obtain the glass blocks you want and then build shower areas, walls, windows, and the like from the bottom up, consulting with you every step of the way. Finally, glass blocks can be very energy-efficient when installed properly, and that can lead to advantages for your energy bills. What's not to love about glass blocks?